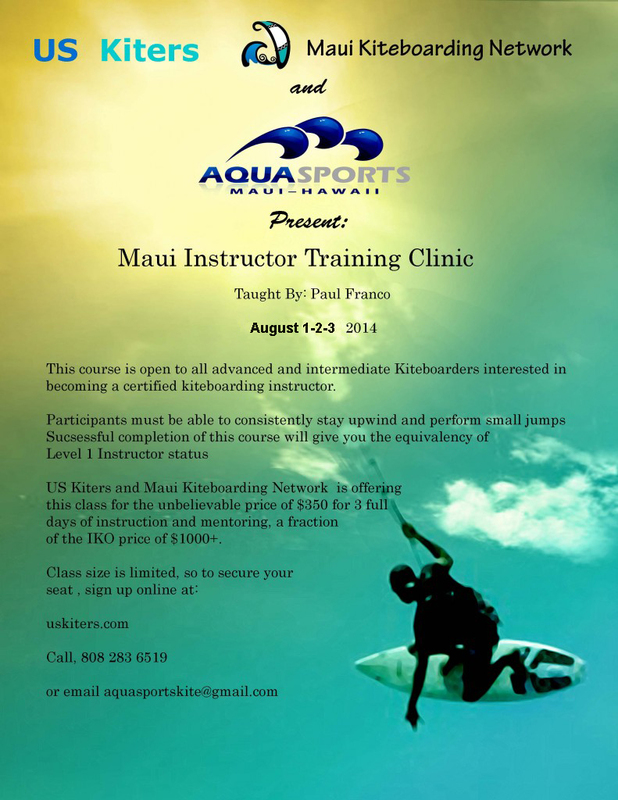 Periodically, the US Kiters conducts official instructor training programs (ITPs) in Hawaii, in the continental United States, and around the Pacific. These clinics are typically conducted over the course of three days. Candidates must be 18 years old, riding upwind consistently , be a safe and courteous kiter and be able to perform a small jump. Upon successful completion of the clinic requirements and payment of fees you can expect to be rated at least as a Basic Instructor. Some may be certified at a higher instructor or appointment level at the discretion of the US Kiters Examiner conducting the course.